All day I dream through the conversations I have with my mother. She is in Rome right now with my dad and soon will be taking a train to Florence. We only talk through broken telephone calls. Every once in awhile the sound stops working and all I can hear is something that sounds like a bee farm. It's not easy to hear the voice of a loved one so faraway, even worse is to hear their voice fade out like a forgotten dream. You start to realize the sky's vast depth and how without those you love around you, you're nothing but a shadow. My parents will be home soon and I plan to squeeze their Italian feast-filled bellies and beg them to never leave me again. 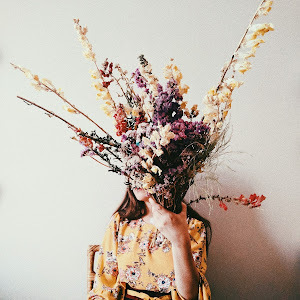 For those of us who follow our nose to the flowers, it sure is nice to add blooms to our wardrobe without having to pull them from the ground. 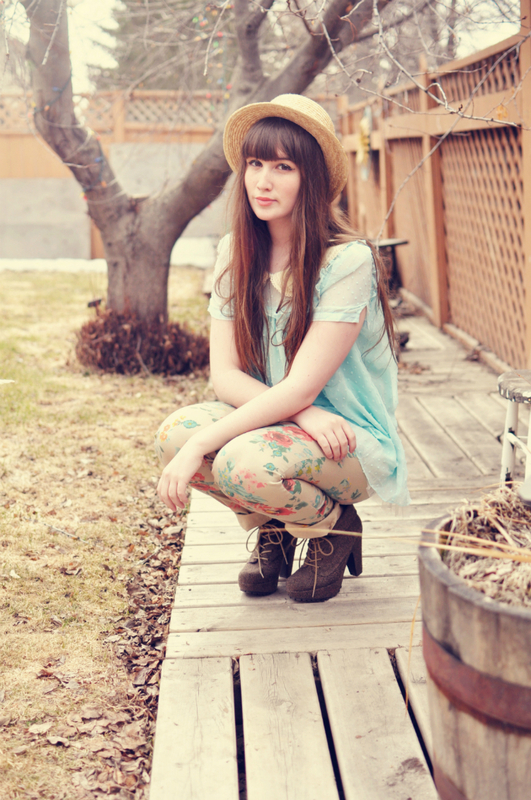 Flower printed jeans are an easy way of making yourself feel garden-bound and ready for the magic that is springtime. They don't require rain nor sunshine to bloom and you won't find them crackling to the passing wind. I try to convince myself to add more solid patterned clothing to my closet but floral always wins. The pair I'm wearing are from Nygard. 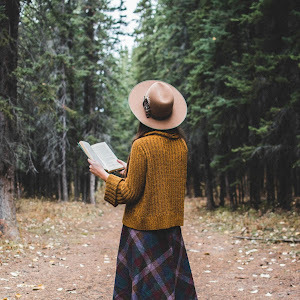 If you haven't heard, they're a North American fashion brand that is committed to making clothes for real women. Real women means 'All' women, no matter the shape or length you walk in. If you want to snag your own pair of printed jeans from Nygard - I'll be hosting a giveaway very soon. Until then, love your weekend! 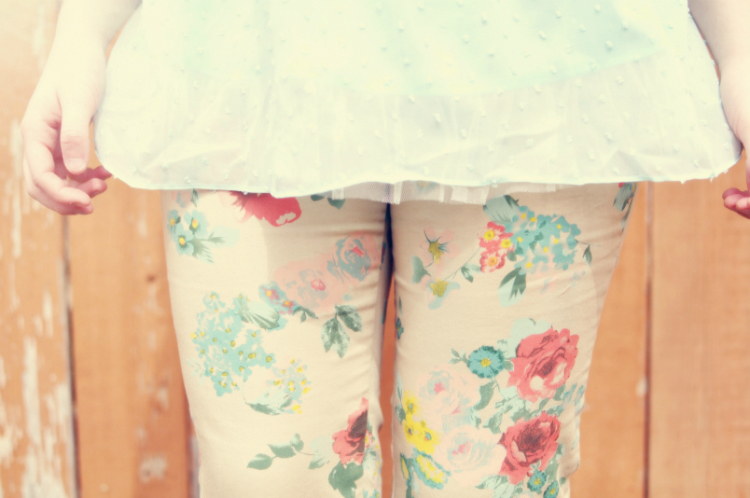 As great as your outfit is here (love the floral pants!) 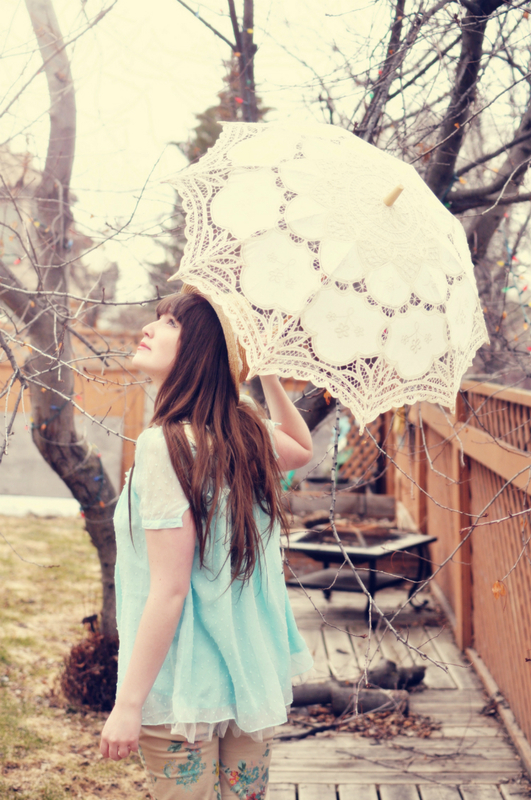 I am smitten by that beautiful lacy parasol. So pretty! 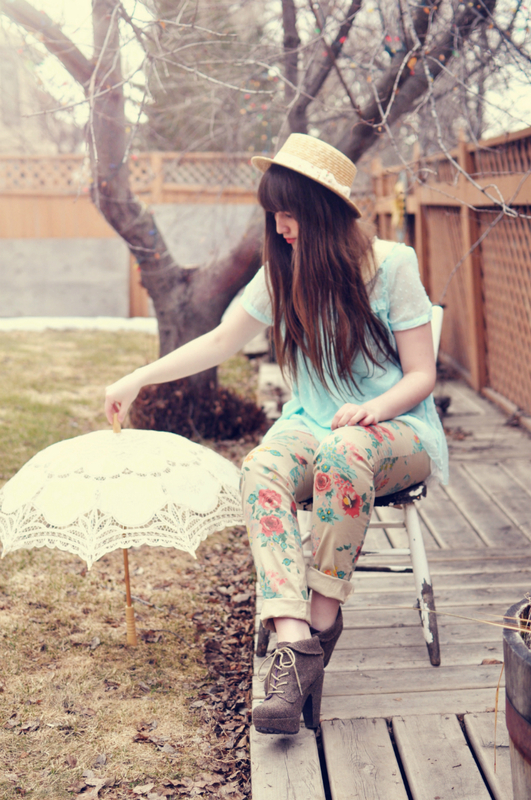 Your parasol is just darling and so are your floral print pants. Beautiful!! Such a romantic outfit!! You are a springtime beauty! 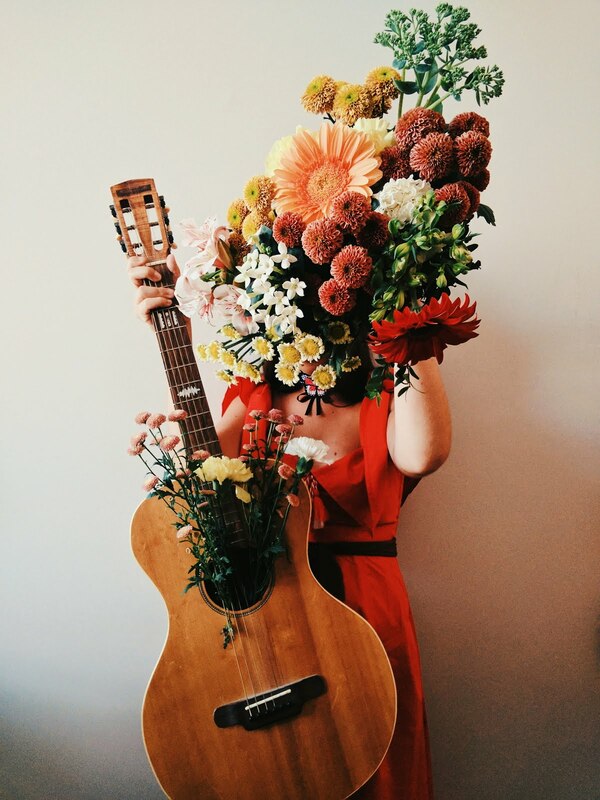 I don't care how predictable florals are for spring, there is nothing prettier than flowers! You're always so sweet dear Josephine! You look so gorgeous and flowery! The only way I can communicate with my grandma is through broken telephones calls. It's always feels bittersweet. Lovely outfit. 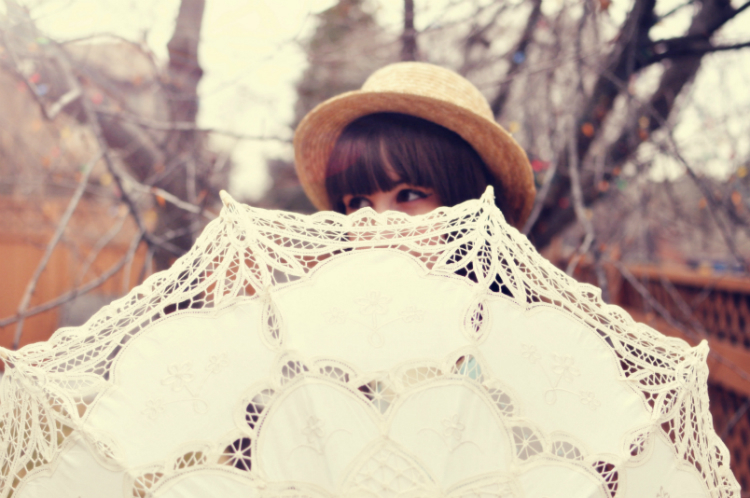 I adore your parasole. That is tough! Especially in this time of age, we're so used to easy communication! Gorgeous as always! 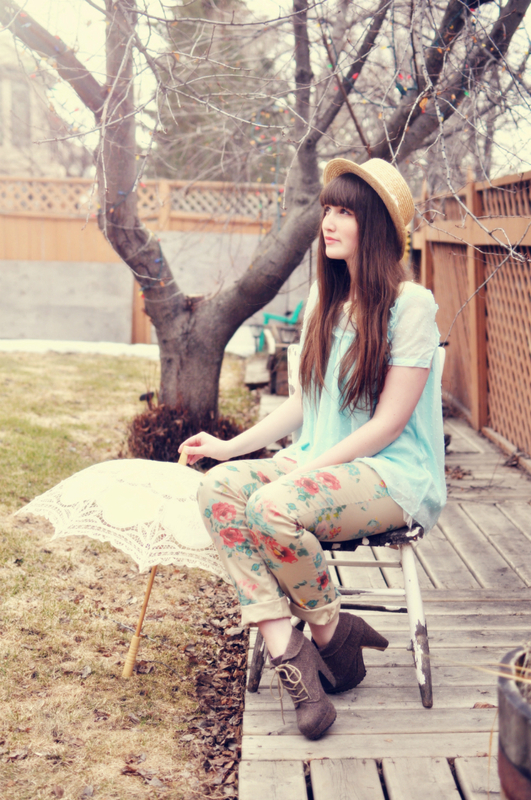 That umbrella is the prettiest thing ever and I'm loving these floral pants on you. 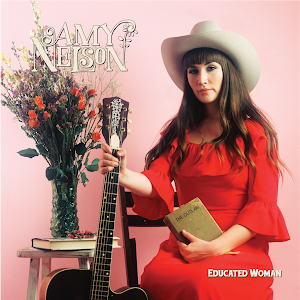 You look so lovely in your outfit, Amy. Thank you for visiting us at Red Rose Alley. I hope you stop by again. It's so nice to meet new friends. Those pants are so pretty! 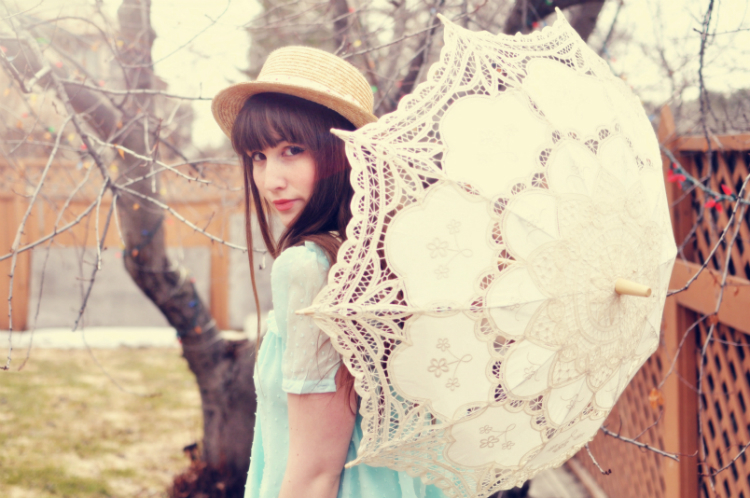 And I am obsessed with your parasol! AND you are so pretty! Your outfit and pictures are just beautiful - and I'm SO in love with those socks below too. 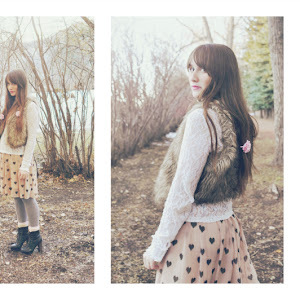 I love your blog and style. 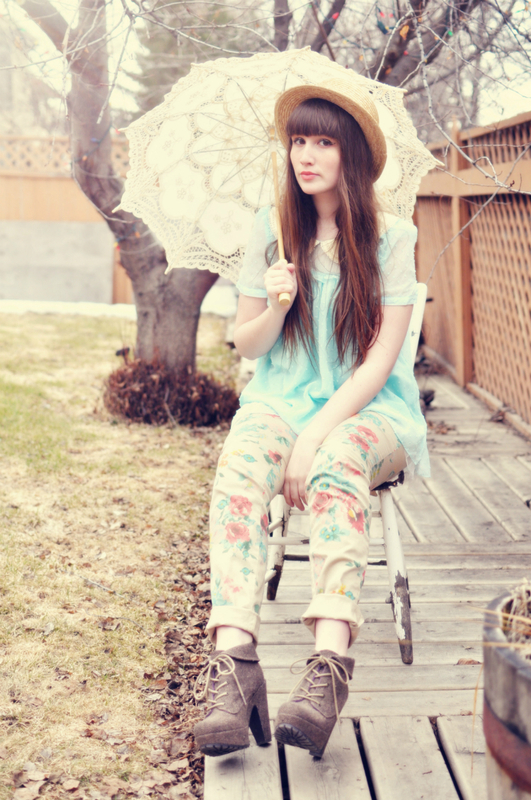 your parasol is so cute. love your unique style, pretty girl! Totally in love with everything about this look.